Traditionally played at weddings and festivals. The dark patch on the larger end is intentional to add weight and depth to the sound. Length: 31 cm, Diameter: 19 cm. 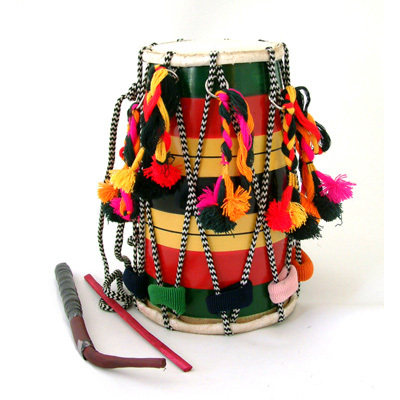 A brightly coloured traditional Indian Small Bhangra Dhol with two beaters.